The Black Power Mixtape 1967-1975 , released on DVD this month, is a documentary culled from Swedish television footage of the American black power movement. As such, it presents an unsettlingly European perspective on race in America. 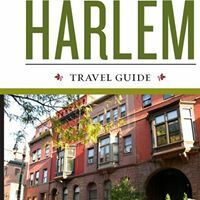 From bloated, aging white sunbathers on Miami Beach to apparently menacing, poor, black Harlem residents glimpsed through bus windows, Americans, one and all, are turned into anthropological oddities, quaint parables, and eccentric amusements. In short, the Swedes do to us what we are so accustomed to doing to the rest of the world. The turnabout definitely has an air of enjoyable schadenfreude. But there’s a painful touch of truth there as well. The Swedes are much more sympathetic to the oppressed black underclass than they are to the oppressive white majority government. And yet we’re all being watched through that European lens. What white and black Americans have never quite been able to do for ourselves, the Swedes do for us, granting every race equality through the blind justice of documentary condescension. That isn’t to say that an American documentary on this topic would be better. Quite the opposite. The Swedes are clearly repulsed by what they perceive as white America’s smugness and brutality, and are fascinated by black America’s courage, resistance…and brutality. As Stokely Carmichael explains in a fascinating 1967 interview, the black power movement had respect and even reverence for Martin Luther King, but it defined itself in large part in opposition to his non-violent tactics. And so, deal with it they did, mostly by shooting it and putting it in jail. One of the more painful moments in the film is an interview with Bobby Seale, where he explains calmly, earnestly, and convincingly that the Black Panther party is armed and will shoot any “racist dog policeman” who tries to give it trouble because the members of the party are “bent on surviving.” Of course, those racist dog policemen eventually imprisoned Seale for years, and racist dog FBI agents broke the Panthers apart. The fatal flaw with black power is that however many guns you buy, whitey always has more. Or at least, whitey always had more. Today, the man with the most guns in the entire world is black. I’m sure Barack Obama could wax more eloquent than I on the mistakes of the Black Panthers, but there’s a very real sense in which he is the ultimate fulfillment of their dream as much, if not more, than of Martin Luther King’s. Eldridge Cleaver, for example, speaking from exile in Algeria, talks about his hope that black communities in the U.S. might obtain a limited sovereignty. And now, 40+ years later, a black man commands not a limited sovereignty, but the whole sovereignty kaboodle. Similarly, in one of the modern voice-overs appended to the footage throughout, Erykah Badu insists that a people must have the right to defend themselves and their families. She certainly has a point, but it’s the same point that Obama (or, for that matter, Bush) has when he explains why it’s necessary for us to have our troops wandering around with guns here, there, and everywhere. The logic of power is the logic of power. Stokely Carmichael laid it out, but Obama followed it through to its conclusion—not least by calibrating his rhetoric and compromising his policies in a way that Carmichael never would have. When it comes to the exercise of force, the pragmatist, as it turns out, has a good bit to teach the revolutionary. If Obama fulfills, and indeed transcends, the black power movement’s visions of empowerment, he also demonstrates vividly the extent to which empowerment, per se, was not the only vision. The Black Panthers weren’t just guns and force and promising to shoot the pigs. They were also free clinics, and food distribution programs, and community building. 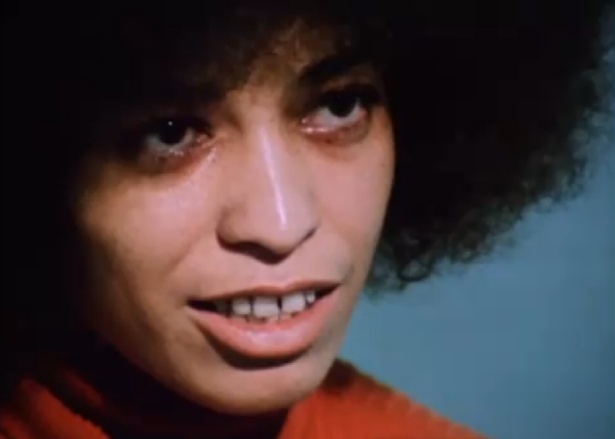 In this respect, the footage here demonstrates how important women were to the movement. It was they who keeping the social kept running and a dream of change alive while the men followed the dream of violence into prison cells or, at worst, death. The black power movement, as seen here, had multiple goals. On the one hand, it hoped to give black people the kind of power that white people had. And you could argue that, despite the massive continuing disparities between black and white in this country, with Obama that hope was to some extent fulfilled. But the black power movement also hoped for a different kind of world; a world where violence would not be necessary, where America would forswear imperial adventures like Vietnam. It hoped for a world where, as Davis said, there would be no racism and no prison, and where, as someone else said, justice would roll on like rivers and righteousness like a mighty stream. This second goal was more ambitious, and the progress in attaining it has perhaps inevitably been less. But the dream isn’t dead as long as we remember it. The creators of The Black Power Mixtape, white and black, Swedish and American, deserve credit for helping us to do so.